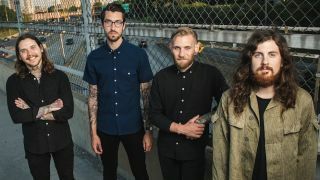 The Devil Wears Prada frontman Mike Hranica tells the story behind every song on their new album Transit Blues. A geographical journey through frontman Mike Hranica’s imagination, The Devil Wears Prada’s sixth album Transit Blues references his love for great literature and his own short stories inspired by his wide reading. Conjuring images inspired by the passage of time and its effects both physically and mentally, Mike sheds light on his influences and development as the days tick by. The Devil Wears Prada: metalcore's premiere bookworms. Are Poison The Well the fathers of metalcore?